Blogging the right way can be seen as what Mufasa from Lion King would call, “The Great Circle Of Life”. By that, I mean it’s not enough to just blog and leave it at that. You want to build an audience… well, how is your audience going to know you posted new content to your blog? You can’t just expect them to come back to your site over and over again without a little motivation from you… you always need to stay connected to them. Autoresponders is the right way of doing this. Let’s take for instance, you start collecting email addresses of those who are willing to follow you. You keep in touch with them by emailing them when you post a new blog article. Well, you can do so by emailing them individually but after you start getting more and more followers.. that task obviously becomes tedious… and you’ll quickly lose interest and so will they. 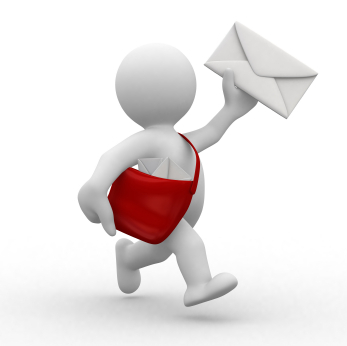 An autoresponder is a program that collects the email addresses of your followers and allows you the opportunity to email them once and leave it at that. The reason why it’s called an autoresponder is because you can create pre-written emails that will guide your followers whether old or new through your blog so everyone’s experience is the same. This is brilliant because you can almost “set it and forget it” and everyone who follows you will get the same great quality content you create without you having to be at the computer all the time making sure everyone is following you. This is why growing your list is essential if you’re looking for a way to build your readership and expand your business. Can You Just Use Your Email Instead? You can, but this is only an option if you want to send out email after email to people individually. You don’t want to send group emails because everyone on your list will see the other people in your group which is bad. You don’t want your followers to see your other follower’s emails because as the blogger, you uphold certain standards to protect your reader’s privacy. It’s just bad business. As you put your autoresponder into effect and you start building your list, you may come to question how often you should email your list. I’ve done the research and many corporate businesses suggest emailing once per week to once per month. Online marketer however, I’ve heard anywhere from once per day to two and even THREE times per day! I don’t know about you, but any one person who emails me three times per day is going to quickly see their name in my spam folder! Why? If your offer is THAT great, do you really feel you need to tell me about it for breakfast, lunch and dinner? Naw. Of course, that’s just me. So, really you need to eyeball it. I’m okay with once per day or once every two days. However, I like to have those emails pre-written so I don’t have to be at the computer writing emails every other day. Now, of course I do suggest that you occasionally send out an email that is not already on your autoresponder… and that email would be about any current promotions you have or current events you’d like to pay special mention to… Or even just an email asking your readers for a follow-up on how they’re doing. It’s vitally important that you build an actual relationship with your followers – coz really, they could be following anybody else, but they chose to follow YOU. The last thing you need to do is act all cocky like you’re entitled to their loyalty. Pfft… Gimme a break. Related: WHAT IS YOUR "WHY"? - Why Do You Want Financial Freedom? What Should I Email My List? Again, I bring you to Mufasa’s Great Circle Of Life analogy. 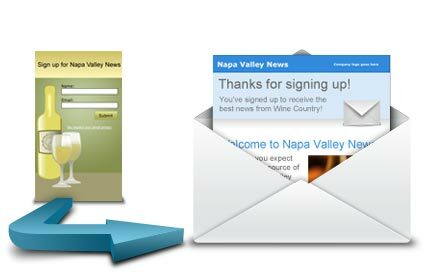 You have your own blog and you collect your reader’s email addresses on them… then you use your autoresponder to point them back to your blog. It’s a circle. As for what exactly to email them. Well, remember that you host a blog to target a niche audience and with that niche audience you acknowledge they have a problem and you need to solve it for them. So again, provide value. In the midst of all this, you can plug in a few products that you are promoting here and there… but don’t focus on the money making tactic – the money making tactic will work itself out. You just provide the quality content and the rest will come into play. Where Do I Get An Autoresponder? Empower Network – CLICK HERE This is the viral blogging platform that’s really becoming popular. You can see its current Alexa ranking to see how it ranks alongside several other websites. If you choose this option, I have special offers to get traffic for your blog right away! Feel free to ask fore more info. Self Hosted Blog – CLICK HERE If you wish to host your own blog, I can set it up for you for FREE if you click the link provided. Once you have your own blog, plug in your autoresponder and VIOLA – You have the makings of your very own online business! Also, don’t forget HOW to start making money with your blog by selling products. I wrote an article on that as well. Oh yes the autoresponder. It is a great tool for any online marketer to have in their tool box that is for sure. I think when you say that if you get an email for breakfast, lunch and dinner they end up in your spam folder is pretty comical to me. I only say that because that is exactly what I do if I get someone pestering me that much. You are spot on in your thinking, I mean if their offer is really that good do they think if they email me 3,4 or 5 times a day that I am going to buy just to get them off my back? NOT! Haha thanks Steve! I used to email my list 2-3 times per day and after several weeks, I noticed I wasn’t going anywhere. In fact, I got more “unsubscribes” than anything, so for me, that wasn’t working! Confidence in the product is shown when you know how to tell people about it. An “in-your-face” approach may work for the big wigs with the big budgets… but rarely works from person-to-person. It only comes off as desperation.